The Women's Doubles semi-finalists were decided this morning at the Seamaster 2017 Australian Open, with India taking down the hometown favourites. India were able to continue their run of good form at the Seamaster 2017 Australian Open as Sutirtha Mukherjee and Pooja Sahasrabudhe defeated crowd favourites Miao Miao and Jian Fang Lay from Australia 3-1 (11-9, 12-14, 8-11, 9-11). The Australian pairing was the more experienced on the court, yet the Mukherjee and Sahasrabudhe didn’t back down. They even had answers for the unique stylings of Lay. Next up for the pair is the no.1 seeds, Chen Meng and Zhu Yuling (CHN). It will be a formidable test. Meanwhile, Mima Ito and Hina Hiyata kept Japanese spirits alive after yesterday’s dark day. The pair looked in good form as they swiftly dealt with Singapore’s Lin Ye and Zhou Yihan, winning 3-0. 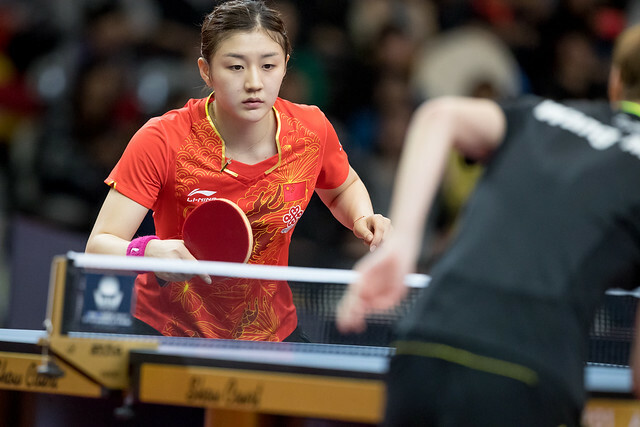 The Chinese pairings of Chen Xingtong/Wang Manyu and Chen Meng/Zhu Yuling, both kept clean sheets in their quarterfinal matches, defeating Feng Tianwei/Yu Mengyu (SPG) and Choi Hyojoo/Jung Yumi (KOR) respectively. The semi-finals will be played at 15:00 local time. Be sure to catch the action live at tv.ittf.com.